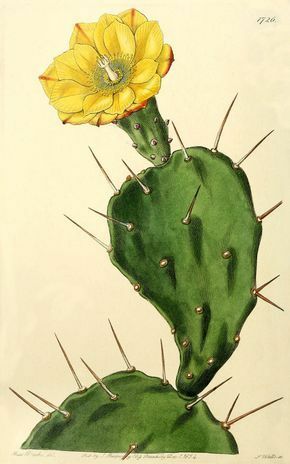 “Opuntia” in its botanical name, is a truly unique genus ranging from small, prostrate plants to towering trees. Standing proud in their natural habitat, the most recognised member of the Opuntia family has to be the native South American “Prickly Pear” Cacti. 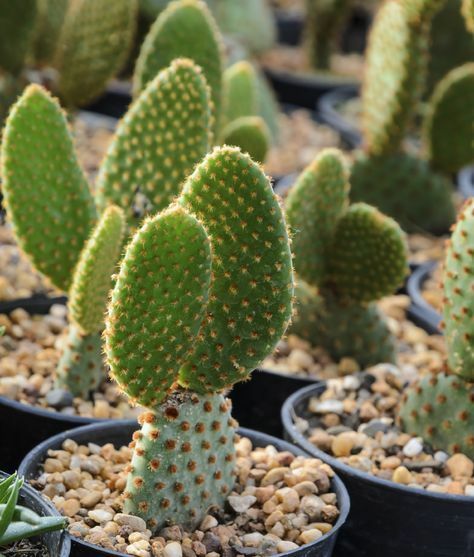 The “Prickly Pear” is sun-loving specimen with flat, rounded pads each generously armed with needle-like spines and tiny barbs, known as glochids. Their ability to reserve water in the driest of habitats is remarkable, and their hardy nature makes them the most cold-tolerant species of all low-land cacti – extending into Southern and Western Canada where winter temperatures can reach as low as – 40 degrees C, -40 degrees F.
Delve a little deeper and you will find that the Opuntia plant family contains over 400 plant species occurring in natural habitats throughout the temperate world. 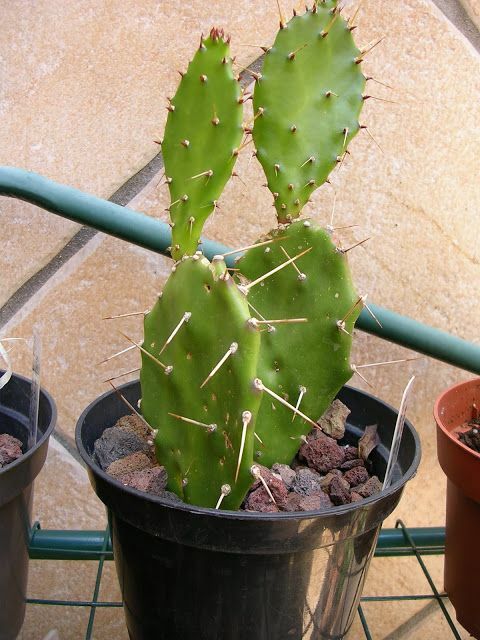 Australia, Africa and many countries in the Mediterranean bear suitable climates for these “Cowboy Cacti” and further species of the Opuntia genus to survive and thrive. When established, the “Prickly Pears” pads, or cladodes, can easily break off taking root on surrounding grounds. In time, this can lead to vast quantities of Opuntias growing naturally in relatively small spaces, though this rapid colonisation is not always well received. Take Australia for example, here the Opuntia colonisation is so thick and wide spread, causing a huge 40,000 square km of now unusable and impenetrable farmland. So much so, that natural predators and further biological controls have been brought in to curb the ever-growing Aussie Opuntia population. Ethiopia, South Africa and Hawaii have similar invasive problems. Opuntia cacti can vary greatly in structure and growth habit, some species are trees, but most tend to be shrubs. These novel-looking plants have many uses, rather than just being an ornamental Cacti species – all of which have been taken advantage of. Whether used as an impenetrable field boundary, cattle food or as a past host plant for the production of cochineal food colouring, this largely naturalised species has to be credited for its ingenuity and simple survival techniques. 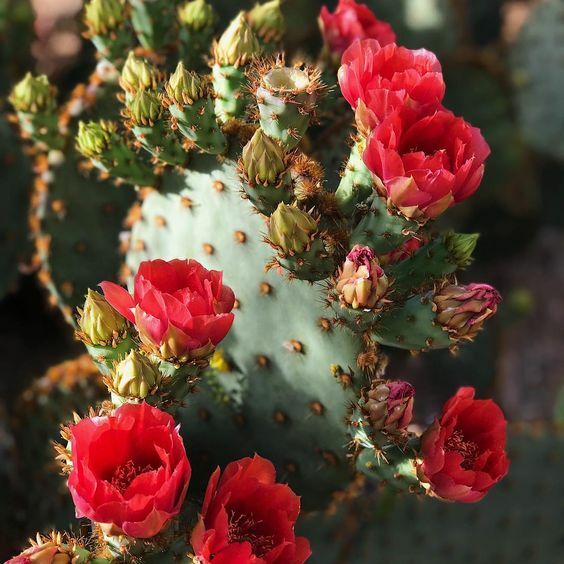 As a succulent enthusiast and curious Cacti lover, the Opuntia species are sure to have caught your eye, whether through their form and stem structure or their astonishing flowers. Take a little time out with me to delve deeper into their history and discover some of the most flamboyant and unexpected flowers this plant species has to offer. 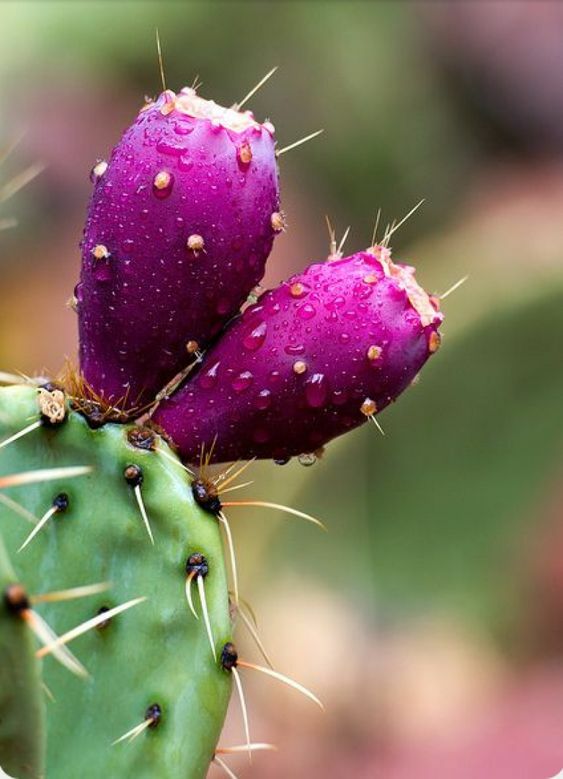 Originally, the Prickly Pear sat alongside most other Cacti in its native land of the Americas, humans introduced them to other areas of the world. They were most abundant in Mexico, United States and the West Indies, but have now spread pretty much world-wide, where climate permits. Well, we know that Prickly Pear Cacti were first imported to Europe in the 1500’s, then introduced to Australia in 1718, and again in 1839. Initially these tree-like specimens were used as ornamental garden plants and later as agricultural fencing. The temperate conditions were so favourable, however, that they continued to reproduce at an alarming rate. In 1753, we know that the great botanist, Carl Linnaeus, published his botanical plant nomenclature work ”Species Plantarum”. In it, he placed all Cacti plants in one genus, regardless of form, flower or structure. A year later, botanist Phillip Miller reviewed the genus and divided it into several differing species, distinguishing species primarily on form, flower production and fruits. 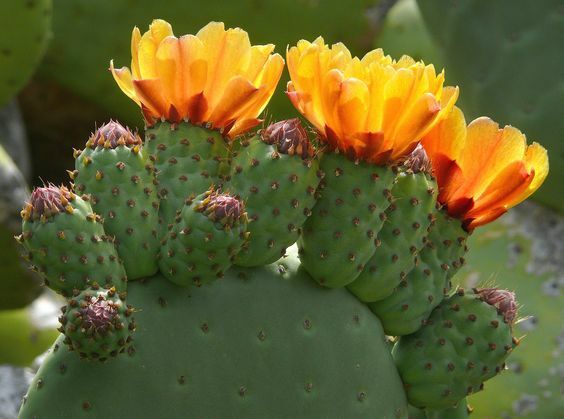 It was then, back in 1754, the Opuntia species as we know it was born. To this day, there is still great variation between Opuntia species and their subtypes, a further complication is they readily hybridize between species, so exact identification can be fraught with difficulties. 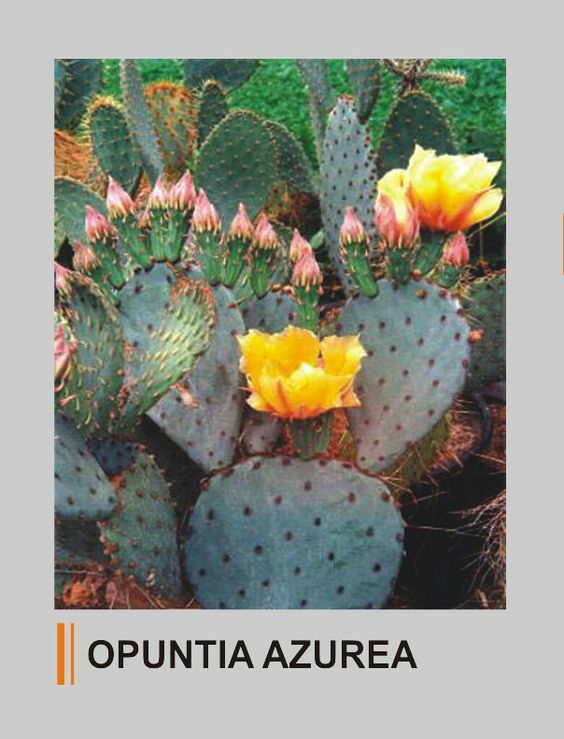 How Did It Get the Name “Opuntia”? This special plant genus was named by ancient Greek botanist and author Theophrastus, whose two surviving botanical works are still around, named “Enquiry into Plants” and “On the Causes of Plants”. 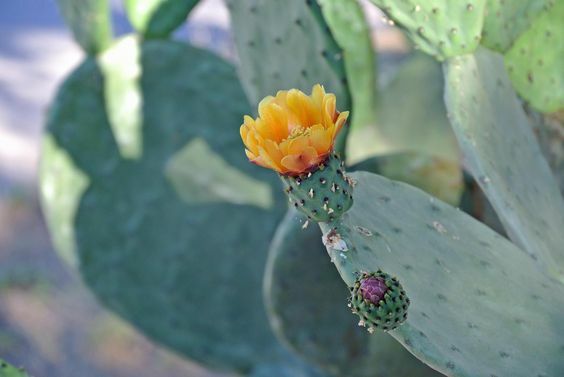 Theophrastus recorded details of an edible plant which could be propagated by rooting its leaves, hereby naming this cactus after the ancient Greek city of “Opus”. Years later, he was the primary successor of Aristotle, the renowned leader and teacher of philosophical schooling in Ancient Greece. 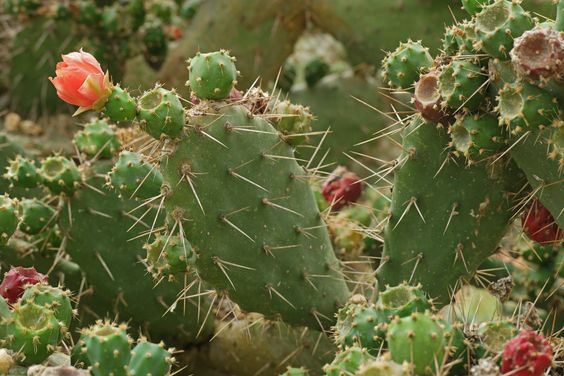 Fruits of the Opuntia are commonly eaten throughout Mexico and many regions of the Mediterranean, here they are known as “tuna”, but they have other names such as “sabra” and “nopal”, depending on where in the world you are. These fruits are large berries, around the size of kiwi fruits. Their skins are brightly coloured, ranging from red to orange, yellow to green and have a hard, spiked exterior. Many examples of this juicy and desirable food source are evident throughout market- places in Mexico, where they are peeled, de-spined and eaten. The Galapagos islands plays home to up to six different species of Opuntia. These are divided into 14 different varieties and their growing form is dependent on each island’s habitat and surrounding wildlife. Tall and trunked varieties are mostly seen on islands which are home to the Giant Tortoise, an animal with specific culinary tastes. These towering, tree-like varieties can grow up to 23 feet in height, that’s 7 metres, with each crown up to 10 foot in diameter, in metric that’s around 3 metres. Islands lacking these creatures house prostratus Opuntias. These have a lower and more trailing growth shape, a sensible adaptation as they have less risk of being eaten. Further land animals, including the Cyclura rock iguanas are also partial to fruits of the Opuntia, when once eaten, will help in native seed distribution. These are a truly ornate and priceless gift to the avid Cacti enthusiast. 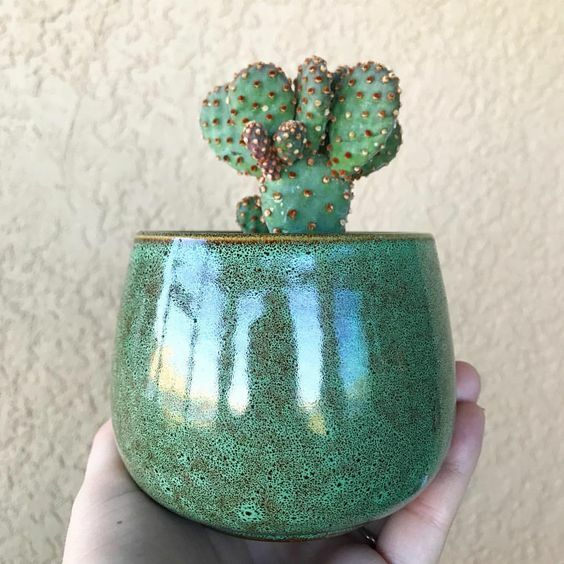 Your months of super TLC and upmost dedication is rewarded with a most unexpected beauty for such a prickly and fierce-looking cacti specimen. 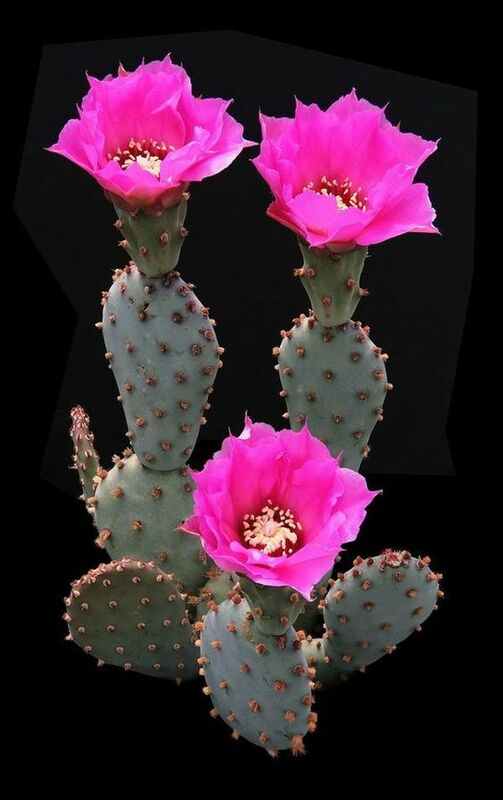 Cup-shaped and brightly coloured, the flowers of the Opuntia genus cannot fail to astonish. These beauties bear thigmotactic flower anthers, which, when touched, curl over and deposit flower pollen to unsuspecting insects, rodents and passers-by. 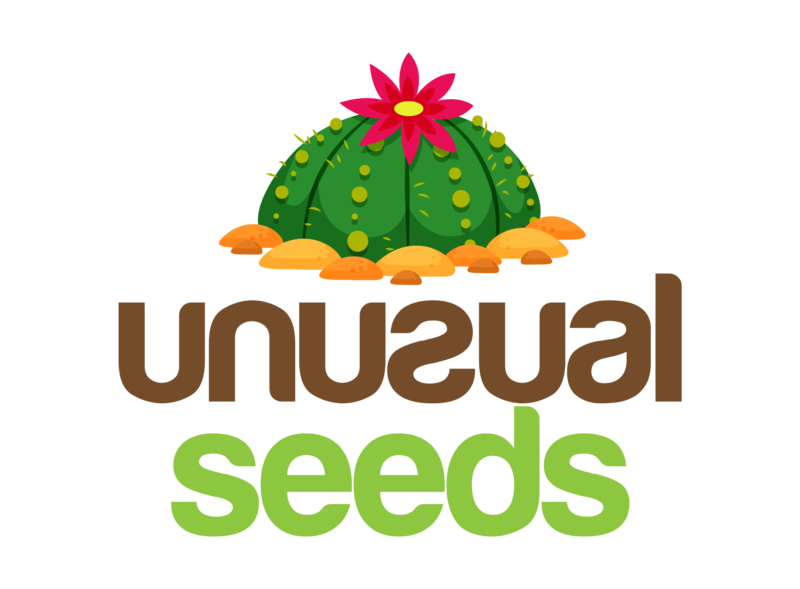 A trait often seen in other cacti species, and one which greatly aids in the plant’s reproduction. Below I have listed some of my favourite Opuntias – their form and flowers are totally unique. A variety native to the South West region of the United States, with a relatively short but spreading growth habit, (2 ft x 4 ft) and a slow growth cycle. Come mid-spring 10 cm, (4 inch) wide, brilliant magenta-pink flowers are borne on the upper terminal margins of each spineless pad, by edible red-purple fruits. 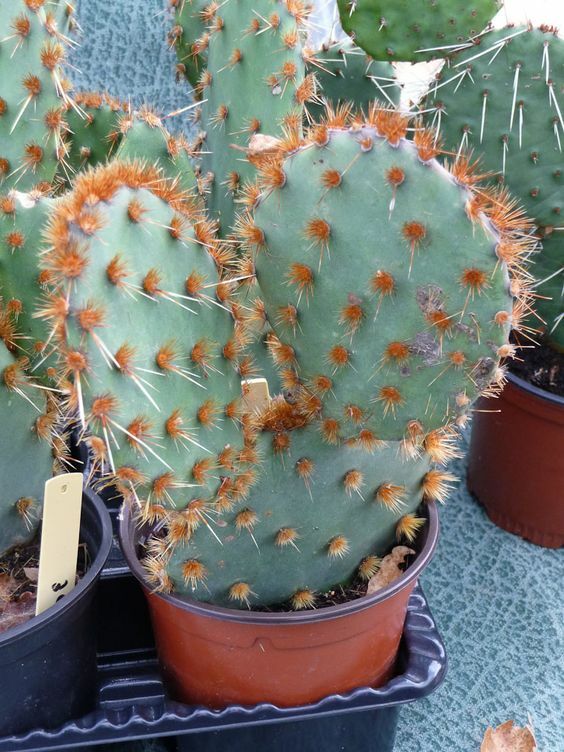 Otherwise known as the “Long-spined Prickly Pear”, the O. azurea is native to desert regions and mountain grasslands throughout areas of the U.S. and Mexico. It has a low and sprawling habit, forming clusters of long-spined pads around 3 feet, (1 metre) high. From March to May, golden yellow flowers adorn this crazy-looking cacti, each with a bold red centre and yellow stamens. Its edible, juicy fruits follow shortly after which are deep red-purple in colour. This species has flattened succulent pads, with more of a bristly prickle than other varieties. Their growth habit is clump-forming and over time, produce a bushy specimen up to 90cm tall, (2.7 feet) and up to 3 metres wide, that’s 9 feet wide! Native to dry, hilly areas, throughout South Western America and North Western Mexico, mainly those with stony outcrops, the Opuntia aciculate is found in small colonies. It’s bright red-orange flowers can reach up to 10 cm in diameter, and often have a green central tinge. The purple fruits follow shortly after flowering, these are covered in fine spines and glochids. Native to the Caribbean, Central America and tropical regions of South America, the Opuntia elatior is one of the largest cultivated varieties to be grown in the U.K. A particular specimen is held at Birmingham Botanical Gardens which is over 50 years old. In their natural habitat these have a bushy appearance, often forming dense thickets of fleshy, segmented succulent pads, growing widespread throughout Mexico, Spain and the Canary Islands. Flowers produced in late spring vary from deep orange to red, soon followed by their young, green pear-shaped fruits, each of these maturing to deep red. These colourful fruits are of great interest to birds and local wildlife, who conveniently continue to spread the seeds of the O. elatior, hence colonies continue to grow. A variety native to the very dry, hot habitats of Argentina, Catamarca and Bolivia, where it is generally found growing between gravel and rocks, with vegetation of similar tolerance. These are an extra ordinary plant species, with strong adaptation properties and a low-growing, geophytic growth habit. Clusters of globular, segmented cladodes in glaucous blue, over time form clumps of fleshy, prickled foliage, which darkens in bright sunshine to a more purply shade of blue. 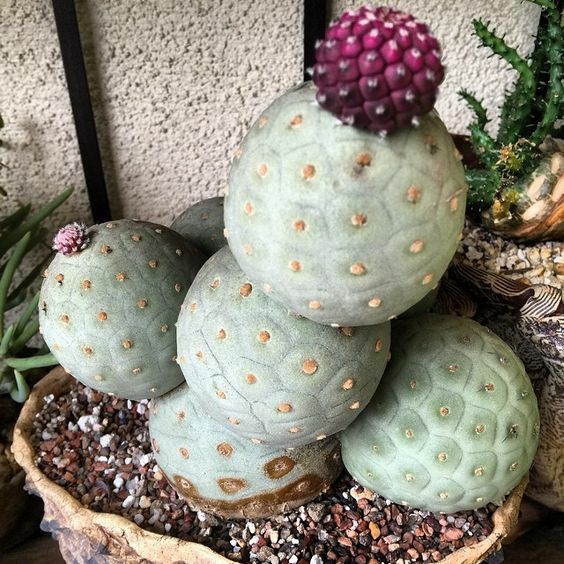 The Opuntia geometrica is one of the most sought after of all Opuntia species due to its gloriously showy large white and light pink, cup-shaped flowers borne on its terminal globes. Opuntia ficus-indica is the widest spread and commercially important cactus, primarily grown as a fruit crop throughout many arid and semi-arid parts of the world. Originating from Mexico, this perennial shrub can grow to a height of up to 5 metres tall with thick succulent oblong cladode stems. Its tough and waxy skin is just another adaptation to its native dry conditions, making these a productive crop and converting water into a renewable biomass energy source. 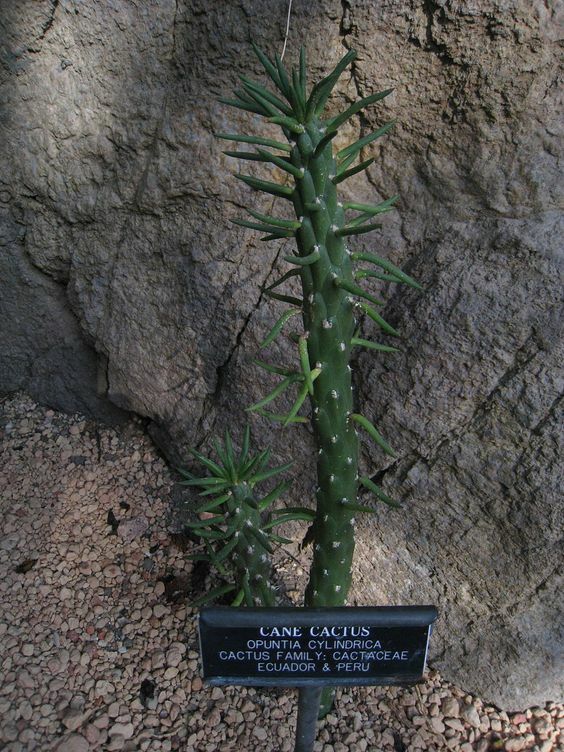 Economically, this cacti species is seen as important as maize and blue agave in its native habitat. A strong, shrubby species with flat, long-spined oblong cladodes, each growing to around 40 cm long. Native to Central and Northern South America, as well as the Caribbean, where a mature specimen can reach up to 4.5 metres tall. 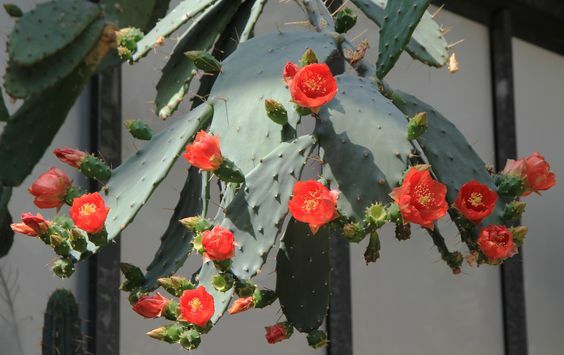 The Opuntia bergeriana is a flowering dream, each cladode producing a profusion of cup-shaped, bright red flowers each with central creamy yellow anthers. A reasonably cold-hardy species, tolerating winter temperatures down to around – 10 degrees C/ 14 degrees Fahrenheit. 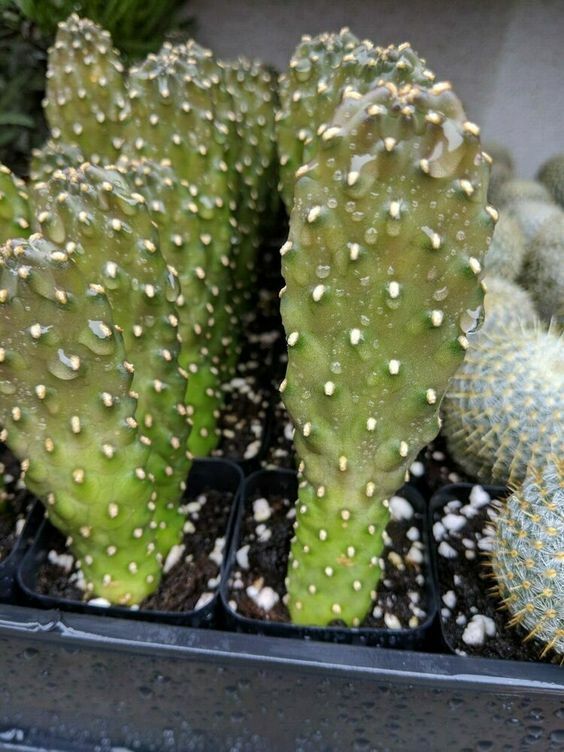 This tree-forming species of Opuntia is native to South America, growing in semi-humid forests of extra-Amazonian Brazil on their deep and sandy soils. Much of its natural habitat has been destroyed by urban and agricultural expansion, though here it is still seen as an abundant species. Seen to have a peculiar growth habit, the O. brasiliensis grows a straight and slender round trunk up to around 9 metres tall, tapering up to a point. Short and horizontal branches grow out from the main trunk, each bearing flattened, oval and spiny cladodes, which in maturity are covered in fine brown glochids. Once plants are over a metre tall, bright lemon yellow, saucer-shaped flowers are borne in frequent succession throughout the spring and summer months. Shortly after, the colourful, juicy, oblong fruits follow which have a similar taste to garden Rhubarb. 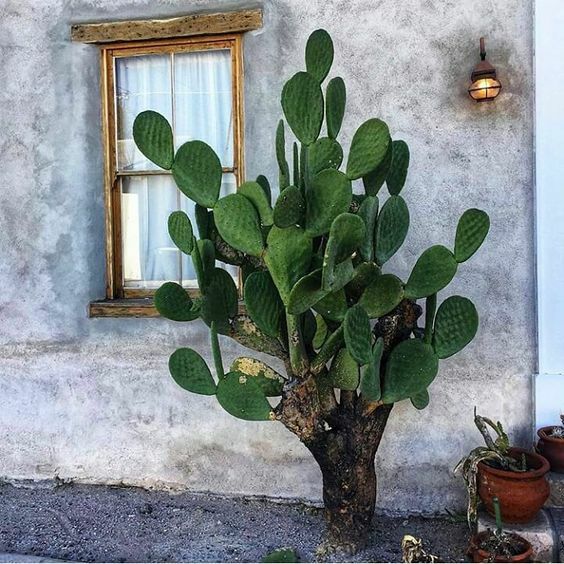 With a Latin meaning of “small and hairy”, the Opuntia microdasys is the house-plant growers’ favourite, reaching a height of just 1 foot tall. 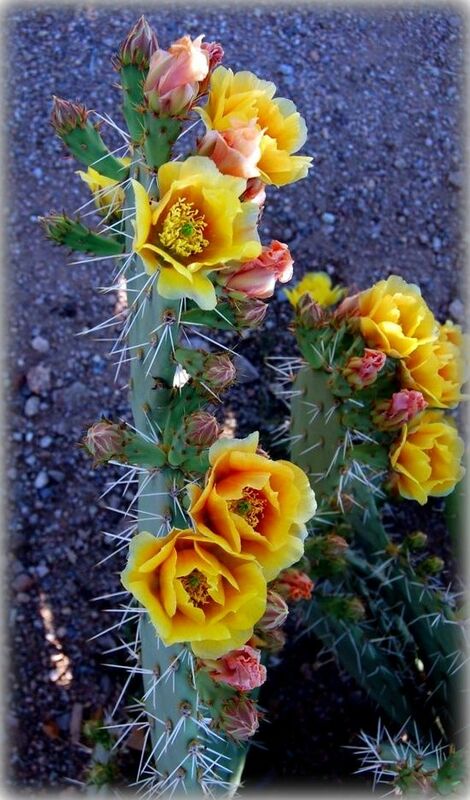 A dense and compact shrub with numerous cladodes, (pad-like stems), each of these covered with clusters of dense white and yellow glochids, instead of spines which many alternative Opuntia species grow. The glochids are very sharp, fine barbs which easily detach from the plant upon the slightest touch, often causing great irritation to your skin if not removed. In infancy, this species bears a rather comical resemblance to a rabbits’ head, though once established, further glochids are produced, transforming this sought-after species into its more recognised bushy form. If you are lucky, light pink buds produce the most beautiful pale yellow, cup-shaped flowers on the most terminal pads in spring and summer time. 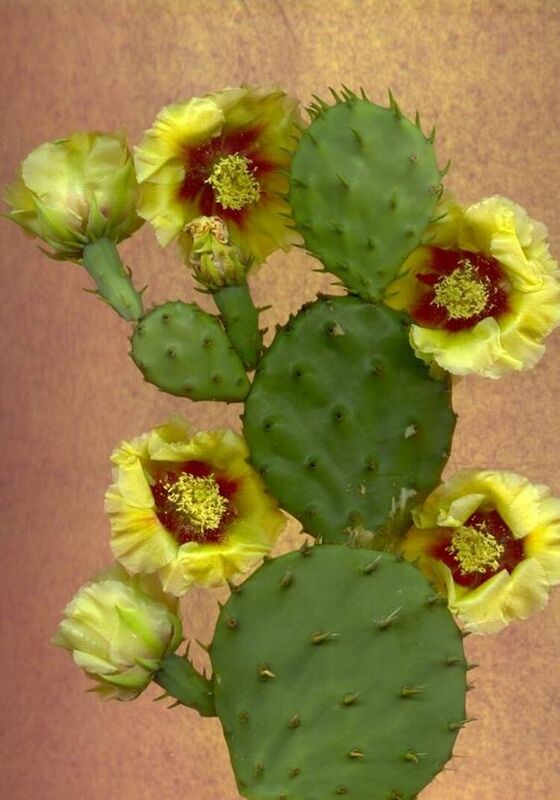 All in all, a really compact and easy to care for Opuntia, native to Mexico and Southern America. A variety of Opuntia native to rugged dry valleys in the central Andes of Peru, Bolivia and Argentina, known as “valles”. Much of this area features steep hillsides and deep canyons, where vegetation is sparse due to the long dry season. Shrubby in habit, its glaucous and cylindrical shoots grow in a candelabra-like form to a height of up to 1m on these steep hillsides, at an altitude between 2000 and 3400 metres. 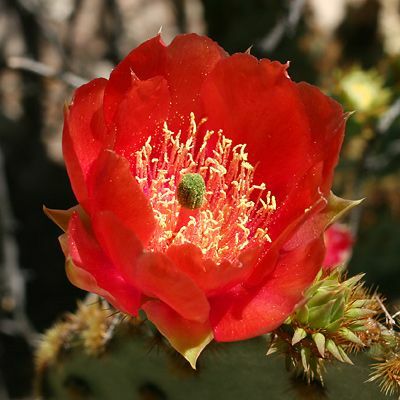 Unusually soft and fleshy spines cover the entire Opuntias epidermis, which come spring and summer bear a succession of bright red, cup shaped flowers. Fruits follow shortly after flowering, which also have spines and a glaucous blue-grey hue. Why not take a look for yourself at this unique species of classic “Cowboy Cacti”? These low-maintenance plants tolerate considerable neglect due to their natural arid habitats and are really easy to grow in dry, gravel and sandy soils. Not only that, Opuntia’s readily propagate, so before long you could have your own eclectic Opuntia collection. This entry was posted in Cacti. Bookmark the permalink.